My reading taste has evolved immensely since I started loving to read in the third grade. (Thankfully). Some of you may know that the reading bug hit me with Treasure Island, but I never pursued another book similar to that genre. My obsession turned to children’s literature (appropriate considering the fact that I was in fact, a child). I only read R.L. Stine’s Goosebumps series, Lemony Snicket’s A Series of Unfortunate Events and Carolyn Keene’s Nancy Drew series. My mother would try to offer different choices but I just shook my head at her and pointed at the next Nancy Drew book to add to the shopping cart. You see, my thinking was that since I loved these kind of books I couldn’t possibly like a different genre that wasn’t in any way similar to MY books. Why should I even try them out? Don’t worry I moved on. I left elementary school for the scary and new middle school where there were no swing sets. My mother had been trying to get me to read Harry Potter forever but of course I would just say, “Why? There’s a new Goosebumps book right there!” She took me to see Harry Potter and the Sorcerer’s Stone at the movie theater which convinced me to give the book a try. Low and behold, a new obsession was born. I hungered for Harry Potter, The Chronicles of Narnia and the His Dark Materials trilogy. If it didn’t have magic, talking animals or dragons then it simply wasn’t a book worth reading. My mom would shake her head at this and I would shake my head back. She didn’t get it. She would read anything. But I was a one genre kinda gal. So I survived middle school in one piece and moved on to the even scarier high school. My freshman year (please try not to judge me on this part) the Twilight fever hit. Which one, she would say. Of course she had read The Kite Runner already and loved it so much that she not only owns it but also A Thousand Splendid Suns, Khaled Hosseini’s other novel. But this isn’t why she laughed. She laughed because here I was telling her to read a book. Telling HER! When she had recommended hundreds of books to me over the years and every time I would just stick up my nose at her and say no. Needless to say, I got a taste of my own medicine. I learned to broaden my taste. When someone recommended a book I would take the time to read it. As a result I have discovered a love for historical fiction, science fiction and classical literature. I’m also going to try horror very soon for which I am both excited and scared about, but nonetheless I’m going to try it, because my mother recommended it and she has never led me astray. Every time my taste developed it was forced because of my stubbornness and snobbery. If my mother had never made me try other books I could still only be reading Goosebumps books today. I’ve noticed that not only am I better reader for it, but I’m a better person for it too. My views on life have broadened dramatically and I’ve learned an incredible amount of interesting things that I never would have from Twilight. Now, I’m not trying to take away anything from those genres. I still enjoy young adult novels, I’m just happy that along with City of Bones on my bookshelf I also have The Pillars of the Earth. I also know that it’s perfectly okay for someone to only like one genre. As long as people are reading, we should be happy. I just know that I am so grateful for all those times others broadened my reading taste. Does anyone else feel this way? Comment below and let me know! Happy reading! Hahaha that’s so funny! I have a similar story…My father tried reading Harry Potter to me when I was in kindergarten, and as soon as McGonagall turned into a cat (which, for the record, is on the first or second page) I got too scared and decided not to read them. By the time the fifth book came out I considered picking them up again but there was all that controversy over whether the book was good or people just liked it because it was HP…so I decided to wait till they all came out and I could judge for myself without the hype. A few years ago I read them all in two weeks (it would have been one, but we didn’t own the 6th and 7th books and we were on vacation, so I had to go back to the book store every day until they got them back in stock). But I always loved fantasy when I was young (and still do), though for many years now I’ve also been on a big nonfiction kick. How funny! If I was in kindergarden McGonagall would have scared me too, whether she could turn into a cat or not! 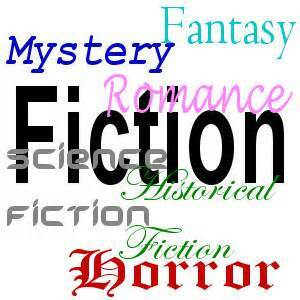 I love fantasy too, it’s definitely my favorite genre. You know, I’ve been looking to get into nonfiction but have been a bit weary of it, do you have any recommendations? Also, Lindsey–I’m not sure which type of nonfiction you’d like best, but I tend to love science-y books. One of my absolute favorites is Mountains Beyond Mountains by Tracy Kidder (it’s about a doctor in Haiti and it’s very inspirational). Moonwalking With Einstein is an interesting book on memory, and Frankenstein’s Cat is cool if you want a quick read on biotechnology. Also Malcolm Gladwell has several very interesting and non-intimidating books. I’ll try to come up with some others that are more story-oriented than information oriented though, because I feel like you might like those better to start off with! Ooh, missed the nonfiction bit. Alyssamichellefrench (is there a particular one of those names I could refer to by? Just Alyssa? ), those sound awesome – I’ll have to check them out too 🙂 I could recommend some decent Econ-related ones (Lindsey, I’m sure you’re shocked): The Choice, by Russell Roberts, is a pretty quick read that does a really good job illustrating the positive effects of trade (particularly interesting if you know people who are, or you are yourself, caught up in the “Buy American” kick). Then of course there’s always Freakonomics. Thanks so much, I appreciate it. I’ll check out all the ones you listed! McGonagall was a scary woman … Very intimidating. Rowling certainly did a wonderful job of developing her as a character through the eyes of a child growing into an adult. I’m pretty certain that if I hadn’t already gone through the eye-opening realization that stern teachers didn’t necessarily have to be mean/scary, she would have spooked me even more than she did! I definitlely neglected other things to read, the essentials: studying, sleeping and eating. I don’t recommend it. I need to reread them too, lately my soul has just been yearning for Harry Potter but then I always get conflicted because theres all sort of other books I need to read for my blog. Okay good, I’m glad someone else understands! I always go back to fantasy too, its my favorite! I bet you’re a really good writer, hope you will eventually have others review what you have written! Like I said, I’ve been less than diligent about posting, and some of the links don’t work currently, but you’re welcome to peruse if you’re bored 😛 It’s not my pet project or anything, but I’m pretty proud of where it’s going so far. I will most definitely be checking that out! And writing should be exactly that, something you do for fun. I do write, I’ve started several stories but I haven’t finished them because I always get caught up in my head about whether it’s good or not when in reality I need to do exactly what you do, write for fun. My current story idea is a sequel to Peter Pan. Maybe when I feel a little bit more confident about it I’ll share but for right now I’m too big of a chicken. Thanks – I’d love you hear your feedback! I used to get really hung up on worrying over whether or not it was good – really, you just have to push through it at a couple of points in any given book, and you’ll get back into a rhythm that lets you forget about it again. I’m actually at that point on The Bookkeeper (which is the one I have going at Briar Patch). I remember seeing you say something about the Peter Pan sequel – that sounds intriguing – you should totally put some time into it! And I used to hate sharing my writing. Like, seriously, hated it. Putting myself out there really helped with the worrying thing though. I’ve never shared any of my pet projects with anymore than really close friends who were helping to edit, but if I have a story that I don’t think is publishing material but I still want to write it, I used to post it to fictionpress. I’m hoping that at some point The Bookkeeper would totally be publishing material if it were a little longer, but I’m expecting to come in too short for standard novel length, so I figured I could start building a portfolio of sorts through my blogs (we’ll see how that goes). And you’d be surprised how much amazing feedback and compliments you can get if you put it out there – that kept me going for years more than anything else. Now I just have some close friends who I’ll send a chapter to here and there and ask them to tell me it’s good so I can get an ego stroke to keep moving. Or I’ll ask them for constructive feedback so I can know what to work on. But the wonderful thing about the internets is if you hear bad things, you can ignore it or accept it easily enough, and if you hear good things you can get excited again. You know what, I think I’m going to take your advice. I’m just going to push through all my negative energy and write and maybe I’ll post it on wordpress to get feedback, because your right; it would make me so happy if someone said they liked my work. Please extend my salutations to your darling Tux. Tell him that it made my day to know he enjoys my blog! Wow, I did exactly the same!